Grow asparagus with the latest issue of Organic Gardener! 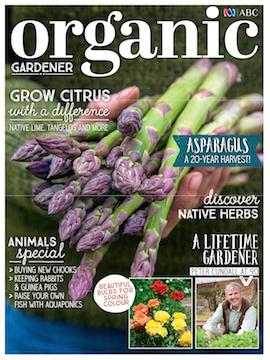 This issue, Organic Gardener magazine extolls the virtues of long-term wonder asparagus, explores the more unfamiliar members of the citrus family (think native limes and tangelos), digs in spring bulbs and celebrates Peter Cundall’s gardening life along with his 90th birthday. Plus, we dive into our animals special – raise your own fish with aquaponics, buy new chooks and meet mini manure machines that make fine garden friends; discover native herbs – revealing unique flavours and aromas; and invite you to cook winter warmers in Sally Wise's latest book, Ultimate Slow Cooker. All this and much, much more! Among the delicacies of the vegetable world, asparagus are well worth the few years wait until first harvest, writes Penny Woodward. 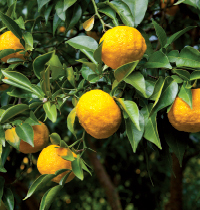 Justin Russell looks into the tangy world of citrus, taste testing exotic varieties and native hybrids, plus growing advice. Karen Sutherland reveals the unique flavours and aromas of many little-known native herbs including native thyme, mint and pepper. Beautiful in bloom, spring bulbs (from bluebells to daffodils and ranunculus) are ripe for digging in now, explains Stephen Ryan. 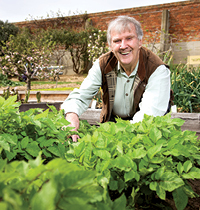 Having just turned 90, Peter Cundall’s urge to grow food – and help others – has not faltered since his early childhood in the Great Depression. Kylie McGregor meets Joel Orchard, founder of Future Feeders, a group dedicated to helping young people enter the agricultural industry. 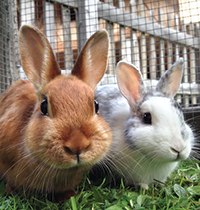 Rabbits and guinea pigs make fine garden friends – they’re mini manure machines and handy lawn mowers, writes Jessamy Miller. Simon Webster dives into the latest developments in aquaponics – the fish and plant production combo – with advice on how to start your own system. trees increase their perceived value? Penny Woodward investigates the human-tree connection. Take it slow and warm yourself this autumn and beyond with these tasty recipes from Sally Wise’s new book – Ultimate Slow Cooker. Now’s the time to get your autumn garden in order, from pruning and planting to seed saving and pest management. 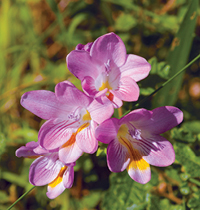 Want to increase or share your garden’s perennials? Penny Woodward explains how to propagate by root division. If you’re in the market for fowl, Jessamy Miller’s tips on what, where and how to buy – plus transporting and settling them in at home – will prove invaluable. 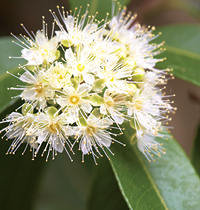 Elements and trace elements are essential to plant health so deficiencies can lead to a wide range of plant problems, writes Peter Cundall. Organic market - latest garden and health products. – Get these cool-season faves in the ground now for a bumper winter harvest, writes Justin Russell. 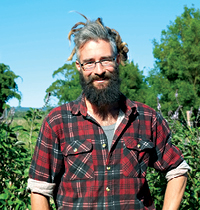 – Life on the land is no holiday, writes Simon Webster, especially after you’ve taken one. Subscription offer - Subscribe to Organic Gardener magazine and go into the draw to win a trip to the Sunshine Coast! Competition - WIN one of 5 Diggers Club prize packs worth $136 each.